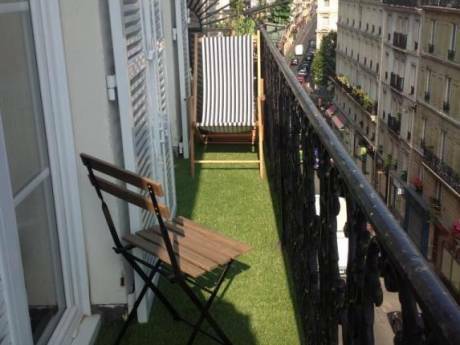 Charming, delightful, romantic, 2 room Paris apartment. Bright, quiet, tastefully furnished and well equipped. 2 rooms - a living room with a kitchen off to one side, and a bedroom with a bathroom (bath + shower head over bath + WC + sink AND small washing machine). 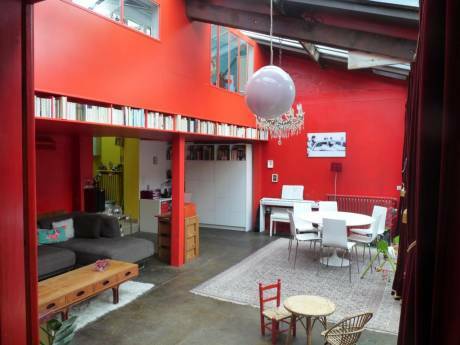 Total area = 36m2. Bed/settee in living room. Perfect for a couple but can sleep 4 - note that access to the bathroom is only through the bedroom. We are a married couple with no children. I (David) am 59 years old, English and retired. My wife, Dorothee, is 39 years old, French and works in the Paris region. We live in France. The apartment is not our main residence. We enjoy travelling. We are not particularly attracted by "beach" type holidays preferring to explore the areas we visit. Since 1993, we travelled 5 times in the United States (California/Nevada, New York, Louisiana, Florida and New England ) and twice in Canada (British Colombia, Ontario/Quebec). Situated in the 10th arrondissement in a lively area with restaurants/bars, boulangeries, food/wine shops all around. 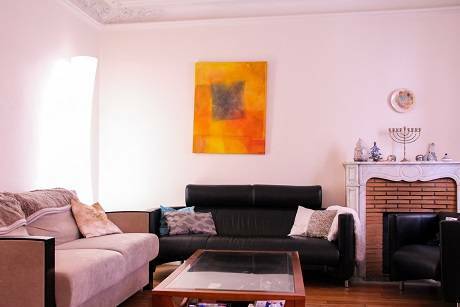 The apartment is extremely well situated down a quiet passage off the Boulevard de Magenta near Republique. The nearest metro (Jacques Bonsergent, line 5) is 100 meters away. Republique is 5 minutes walk. Using the metro you can be anywhere in Paris within minutes. If you prefer to walk, the location is also excellent. Bastille, Chatelet, Opera (including the big stores Galeries Lafayettes and Printemps), and Montmartre are all within 30 minutes walk.